Listen to this track by one-time Hushdrops-honcho turned solo artist John San Juan. It’s”Someone’s Birthday”, a cut as taken from his new solo record, Smashed. The new record will be released on June 1, 2017. That’s an historic date when it comes to album releases, of course; especially this year. Sgt Peppers Lonely Hearts Club Band was released fifty years from that date. Among the celebratory effusions that will no doubt follow the golden anniversary of that venerable musical offering, this release from San Juan is a token of allegiance to the spirit of that work. You’ll certainly find the same optimistic sheen on this new record, even if there are shadows to be found in the corners, too. As much as there are hints to a summer of love now long past on songs featured on Smashed, the record represents a step forward into a new phase for its creator. Being a Hushdrops fan, it was a treat to chat with John and talk about this track, “Someone’s Birthday”, about the making of the record off of which it comes, and about what comes next for him. Here’s what he had to say. The Delete Bin: This new solo record follows up the magnum opus of Tomorrow, a double album which you cut with your former band Hushdrops. How did the experience of recording of this new record compare and contrast with that last one? John San Juan: I think it’s important to tread lightly when comparing the last days of one thing with the first days of a new thing. By its very nature, starting a project in relative isolation away from the family, so to speak, was going to be a comparatively reinvigorating experience. Charting an unknown course, you could fall on your face at any moment. For me, that was a very exciting prospect. For whatever one may lose by not being part of a bigger team, a more single minded and unfettered approach can potentially lead to a deeply satisfying experience and result. Anthony (Illarde, drums) and I did one session of the first seven songs we’d learned together, with new studio and engineer for both of us, and at the end of that day we’d managed to finish them all; overdubs, the whole thing. It was a real shock to rediscover that type of efficiency and economy, and I now realize that the whole project might have stalled right then and there if not for that particular outcome. DB: As far as personnel goes, you handled a good share of the parts yourself, as well as producing. How did you approach the arrangements when it came time to record? JSJ: Arrangements were more or less executed to tape in real time. I really had it in my mind to work quickly. Almost blindly. If the whole thing was a series of accidents from start to finish (as much of it was), all the better. One of the few deliberate choices we made was to record on an eight track machine. Doing that meant that once you’d recorded your eighth thing, you were done forever. You sang a song through once, you made your decisions in the moment, and you just had to count on your first idea or experiment being fruitful. The songs themselves were just arranged for two people, so when things were added (bass, backing vocal, piano, percussion, Mellotron, etc. ), that was literally the first time the idea was being tried or executed. A lot of my arthritic fumbling is now preserved for eternity. That approach added a certain tension or excitement – the wheels always being right on the verge of falling off. I can still hear that on the record. DB: Tell me about the title of the album, “Smashed”. A word like that can have both positive and negative connotations. JSJ: Oh, sure. That may sum me up, really. Great joy, great misery. DB: Alright, let’s talk about this song in particular – “Someone’s Birthday”, which is one of my favourites of off Smashed. I love the line “I used to have a very big apartment, but it got smaller every time you came to town”. That sounds pretty damning of something or someone. JSJ: Oh, dear – “damning”. That sounds like Taylor Swift or something, getting cut off in traffic and going home and putting your road rage to music. I definitely live under the illusion that my own work is a little more generous than that. I think if you look at your own past semi-objectively, there’s probably a fair amount of “fearless moral inventory” to be gleaned, moments where you’ve navigated your own surroundings clumsily or insensitively. The idea that a person, maybe a person like myself, could hog up all the oxygen without realizing it or somehow negate the very purpose and existence of the thing they love, I think that’s just universal human foible. To whatever extent one has faith in the goodness of humanity, I think it’s safe to say that we’re all occasionally well-intentioned stars in our own fish-out-of-water movie. DB: The lyrics are full of double negatives “I used to never not believe in going back for more”, “Never really noticed all the good it didn’t do”, etc. It has a disorienting effect like listening to someone who wants to say something outright but chooses to do the opposite at the last minute. The effect is especially potent against such an ebullient-sounding tune. How does that reflect the emotional landscape on this song? JSJ: Life is a black comedy, right? I think we’re all mostly straining to see the humor or counting our blessings in an otherwise distressing moment. There’s a fair amount of static in the world, and amidst the increasing sense of not being certain that we are all making some genuine effort to hear or understand one another, that type of lyric might sufficiently simulate the effect of a person talking to you as you sort of tune in and out. DB: I really like the Michael Nesmith-esque country lick on this song that adds a bright and cheery element to some of the shades of grey in the lyrics, and kind of fractures at the very end. As much as it operates within the song, it also seems to have a life of its own. What came first – the song or the lick? JSJ: The lick seems corny in its way, but certainly not so corny that I won’t play it a dozen or so times in a song. That was written in a real manic period of songwriting, where for a few weeks, it was common to just sort of blurt out several songs a day after a period of not having written much at all. I don’t think I knew where the music was going to go, if anywhere. I didn’t have a band, and I probably hoped someone else would come along and take my songs and record them. Anyhow, I’m inclined to think that the lick, the song, and the lyrics all just sort of “arrived” simultaneously. DB: You’ve described the textures on the record as coming from “what was there”, what was on-hand, with Mellotron featuring on a number of tracks. How do you feel these sorts of boundaries helped make the songs what they are? JSJ: Whatever peak experiences I’ve had at any point in my life as a music maker, my best results have always come from just working with the tools I’m given. A lot of the character of this and other records I’ve made has come from unlikely sets of resources or limitations. There’s a general expectation that I’ll get lucky in some way, even with real sub-optimal conditions. I really can’t say enough about the Mellotron. It really is the punk rock version of traditional orchestration. Even someone with my relatively crude skills can sound as grand as the Moody Blues if they wish. We use one on stage now. My friend Carolyn plays it. That’s how ingrained in the character of this music it has become. But, that said, had the studio not had one, these songs would be very different. That’s what I mean about getting lucky. JSJ: I’m probably more awed by Pepper than I’ve ever been. Talk about casting an incredible shadow. Every last bit of pomp and ambition in my own work could probably be traced back directly or indirectly to that one album. Of course, I jumped on the anniversary when I saw the calendar for this project coming together. It was a happy accident, but I was quite happy to run with it. DB: How will you be celebrating your own release, and how can fans take part? JSJ: Oh, I’ll undoubtedly be listening to Sgt. Pepper. I think we can all do that and still find time to buy my album, which will be available through all the normal channels; physical product at retail or online, and just, you know, out there in the ether like everything is now. I don’t think anything is as satisfying as buying it at a concert, myself. 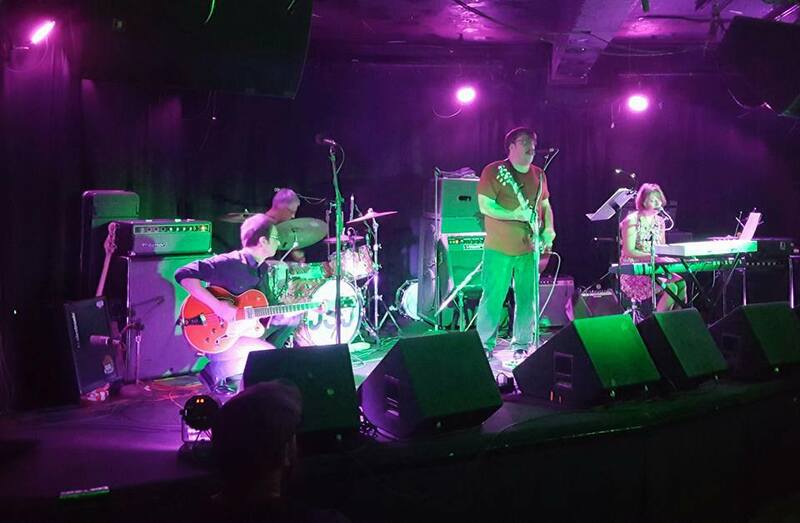 We’ll be playing plenty of those: our record release show is at the Hideout in Chicago on Friday, June 23, we’re in Peoria on Saturday, June 3rd, Waukesha, Wisconsin on Saturday, June 24th, and I think you can just expect the usual sort of burst of middle-aged touring in the region. I like how you put this question last. I feel like the performer up on stage who ends the concert by reminding everyone to buy a souvenir T shirt in the lobby on their way out of the theater. 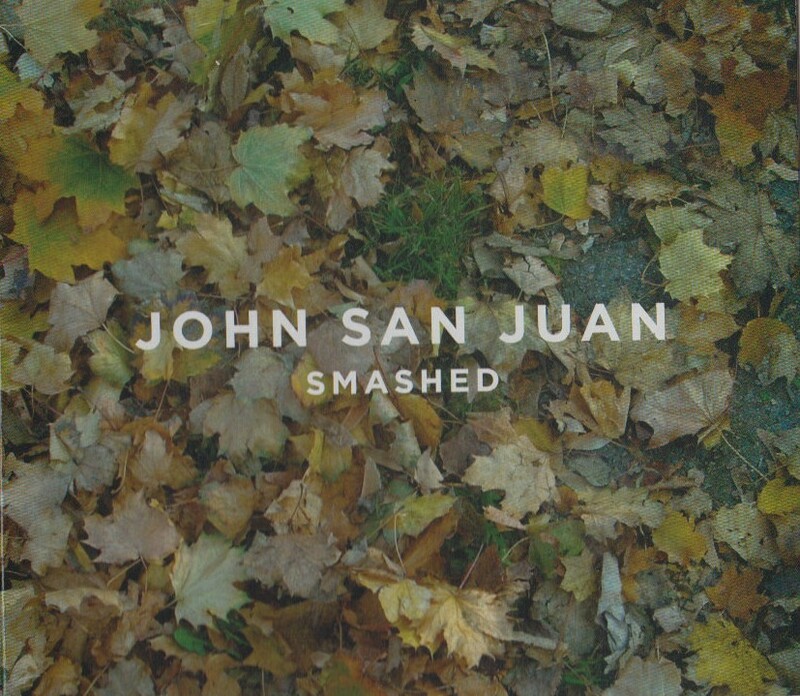 Buy Smashed by John San Juan on Amazon. You can also buy it on iTunes. You can even listen on Spotify, friends. So, you probably should, right? For even more, you can join fans on the John San Juan Facebook page. There you can stream more music, find out about shows that are frequent in the Midwest, and join in the conversation about the new record. You can also follow John San Juan on Twitter at @juanschildren.